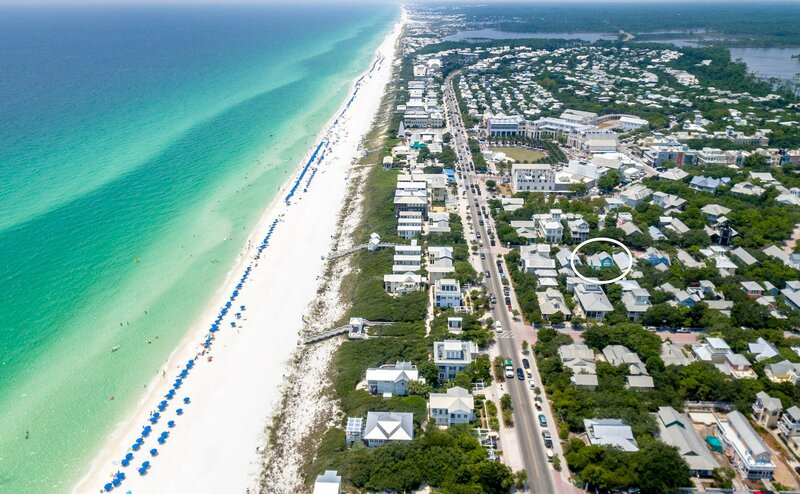 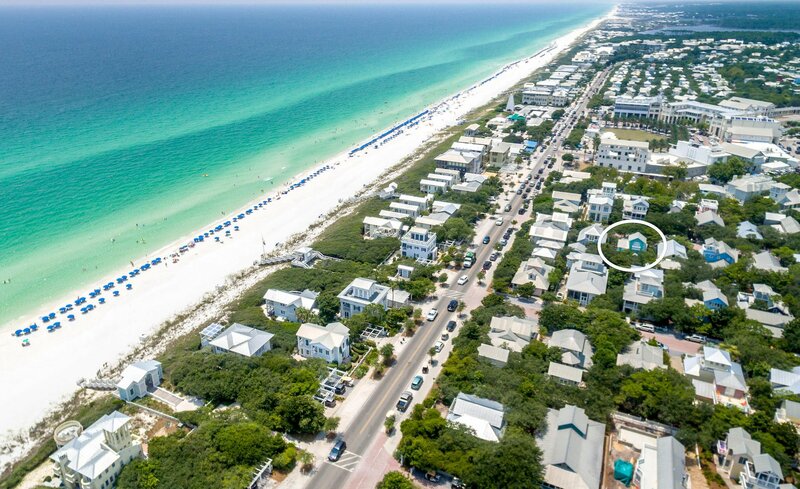 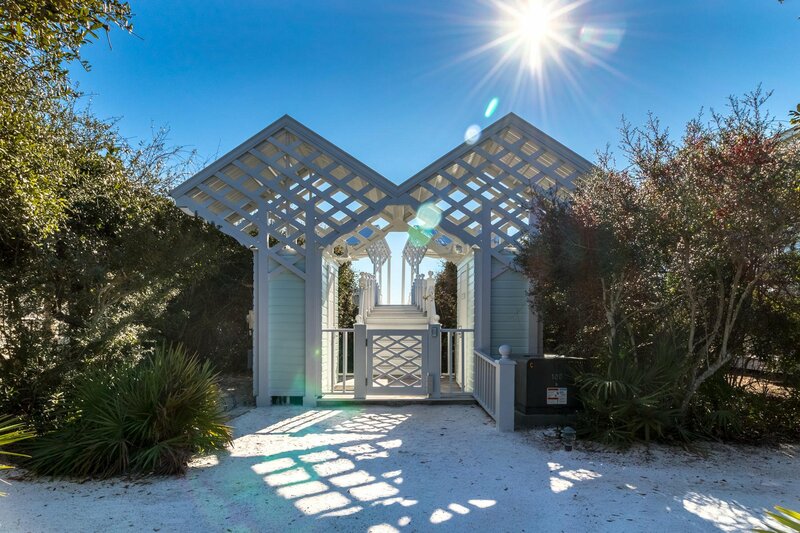 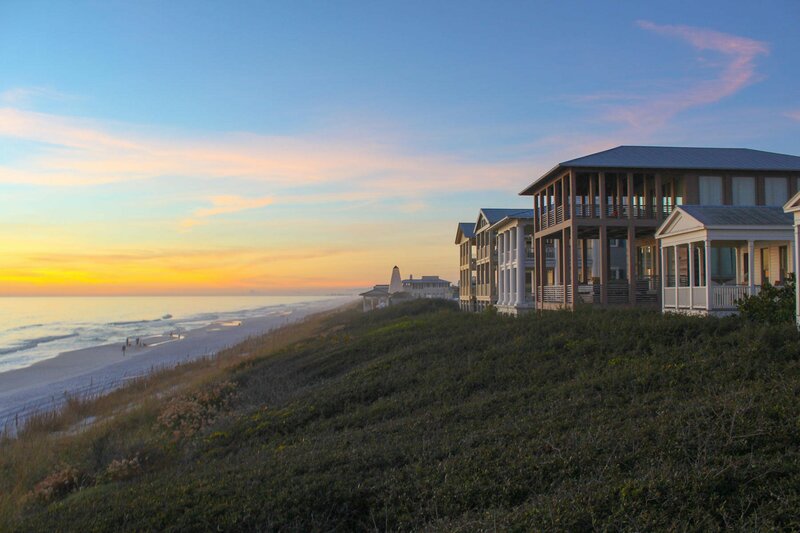 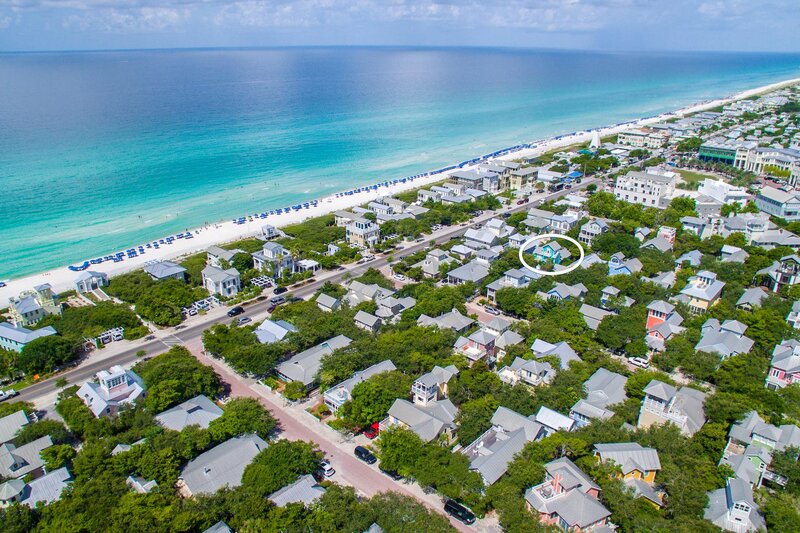 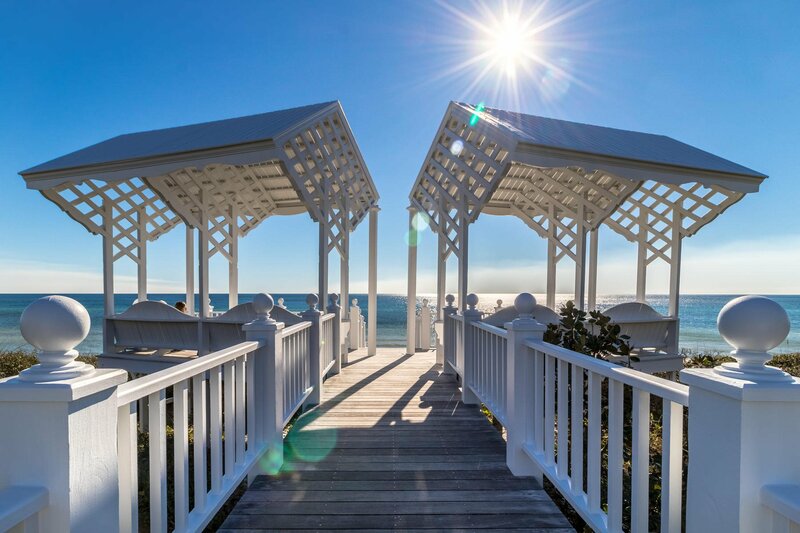 Located just 3 lots in from 30A across from the sugary white sand, Salty Dog has a laid-back, beach lifestyle. 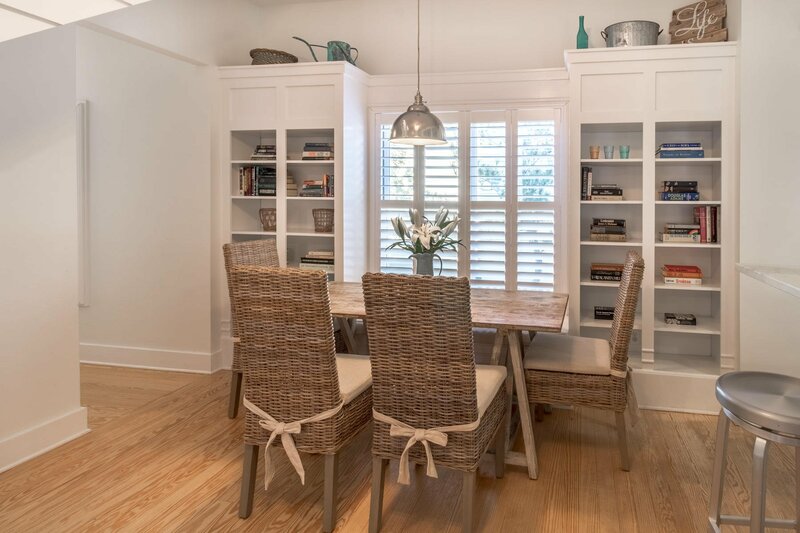 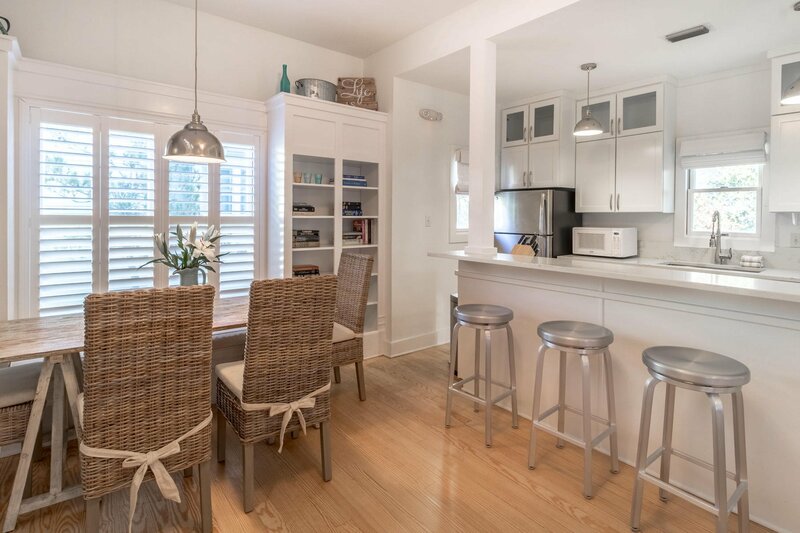 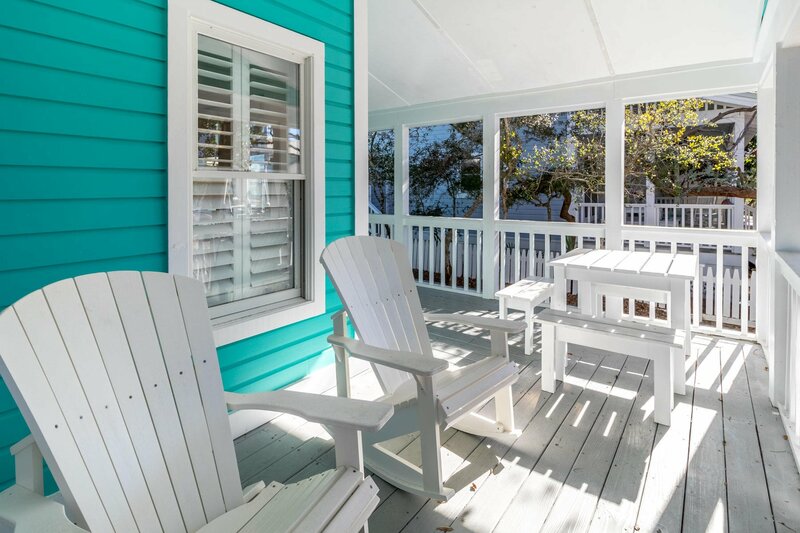 The cottage blends cheerful colors with relaxed accommodations. 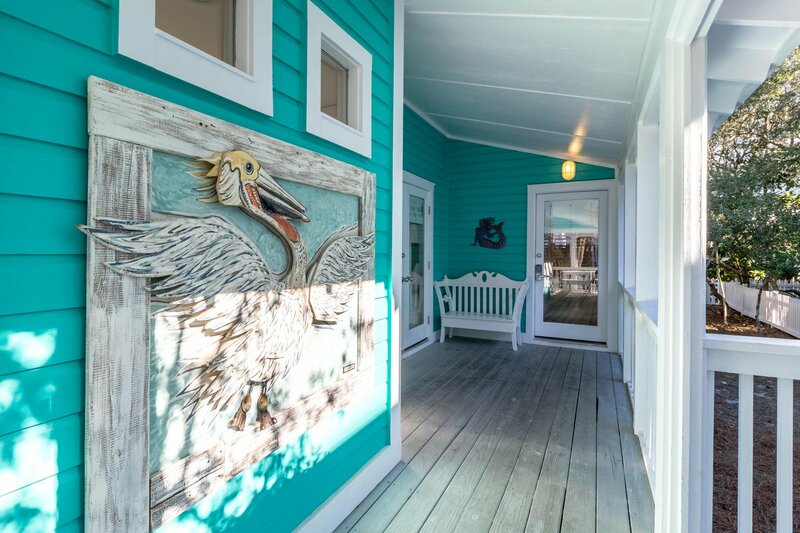 The front porch wraps around the south side of the cottage with plenty of room for outside dining. 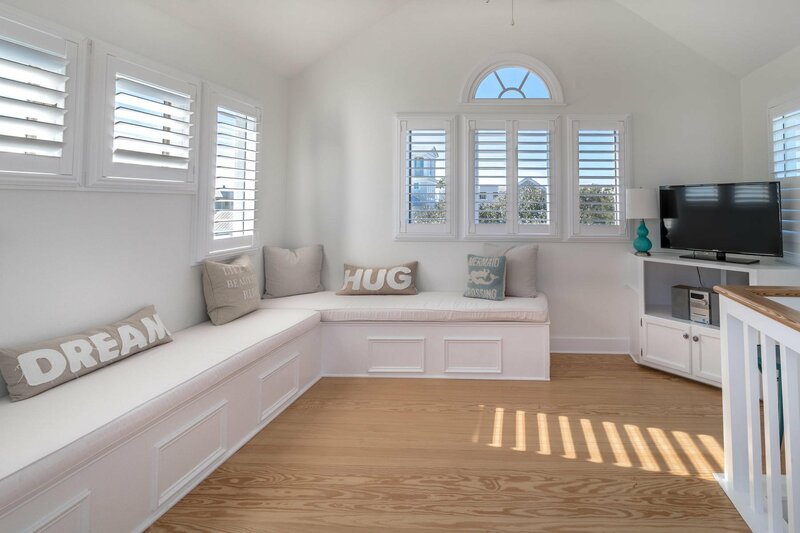 The open plan of the first floor allows for plenty of space to unwind at the end of a fun-filled day on the beach. 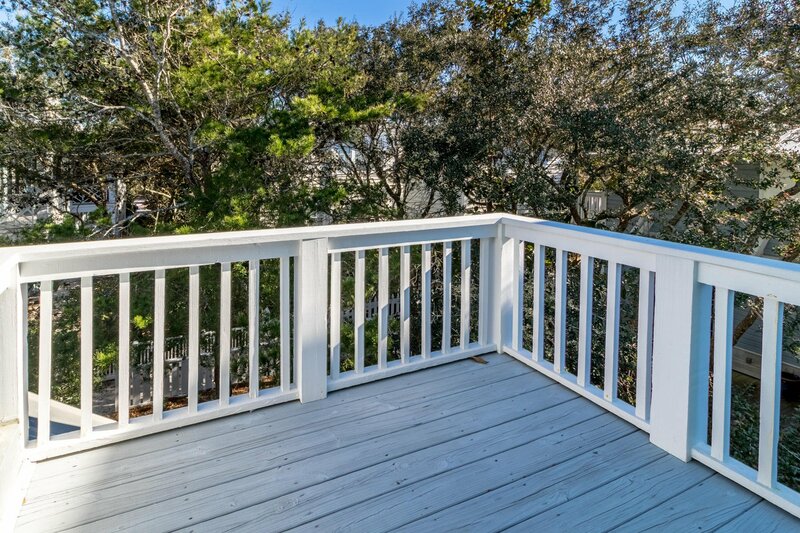 Entertain guests on the porch or move inside to admire the crisp and modern interior. 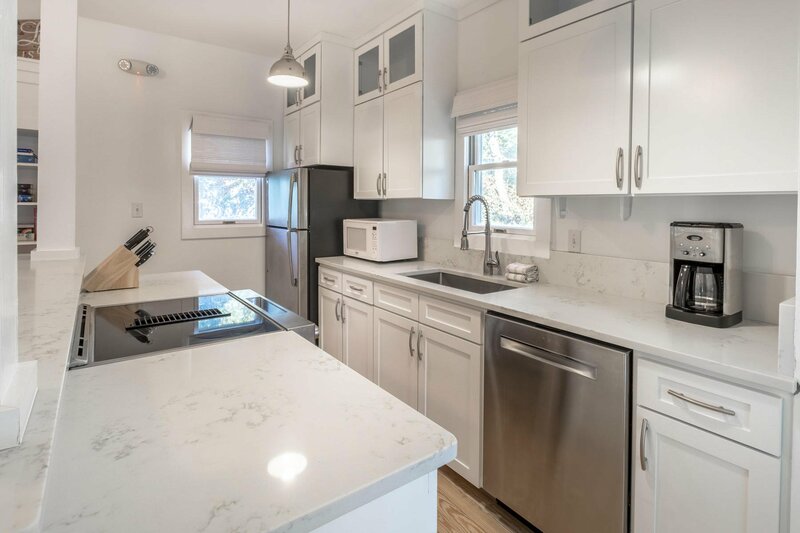 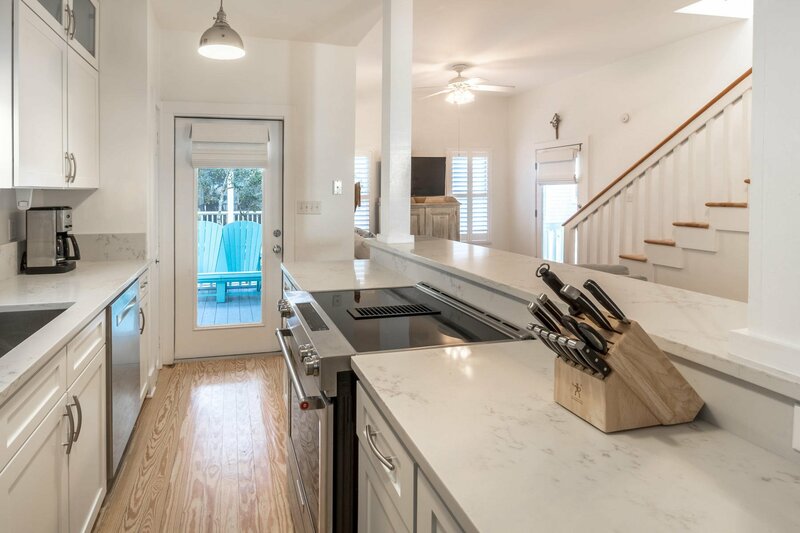 A recent update to the kitchen features quartz counter tops and stainless steel appliances. 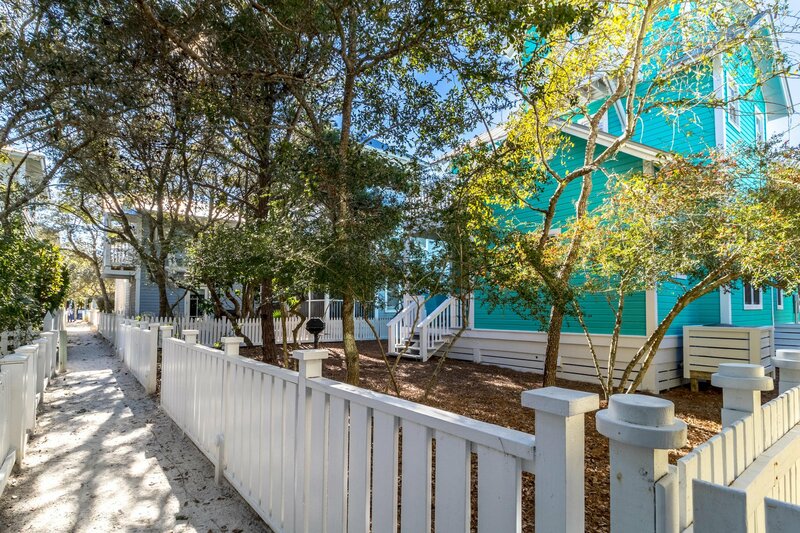 From the contemporary style, breakfast bar for casual dining, to the accompanying main dining space and comfy living room, there's much to enjoy about Salty Dog. 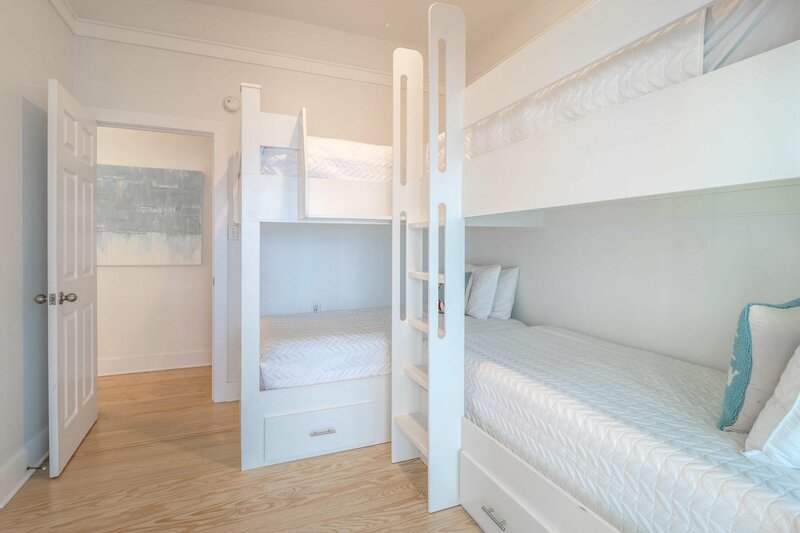 The first floor includes a king bedroom and a second bedroom with two sets of built in bunk beds. 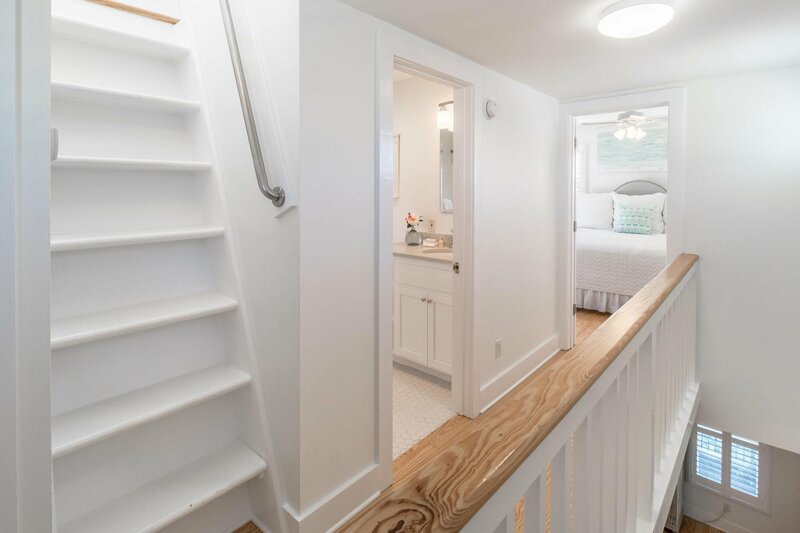 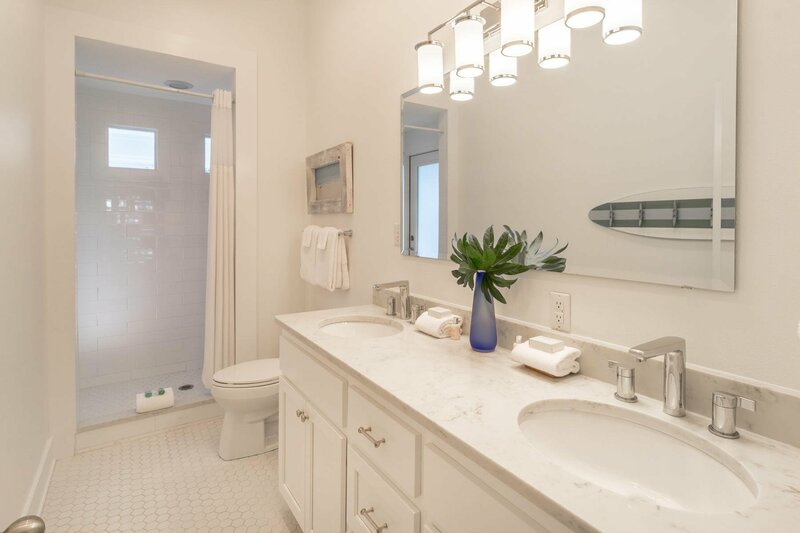 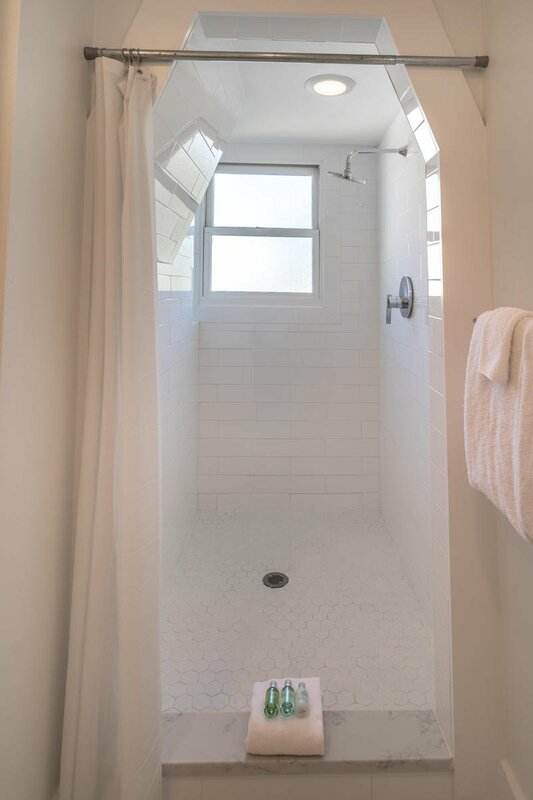 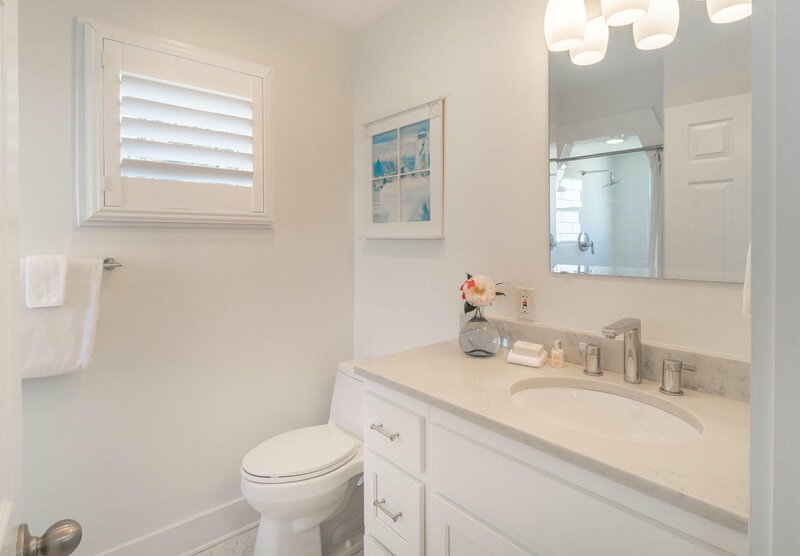 The bedrooms share an updated bath with double sinks, quartz vanity, subway tile shower and allow for private access to the relaxing front porch. 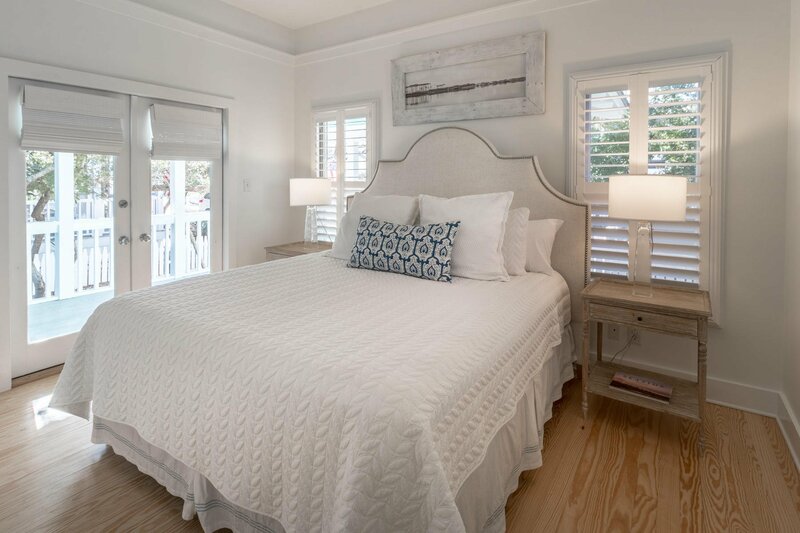 Another king-sized bedroom and updated bath offer additional room on the second level. 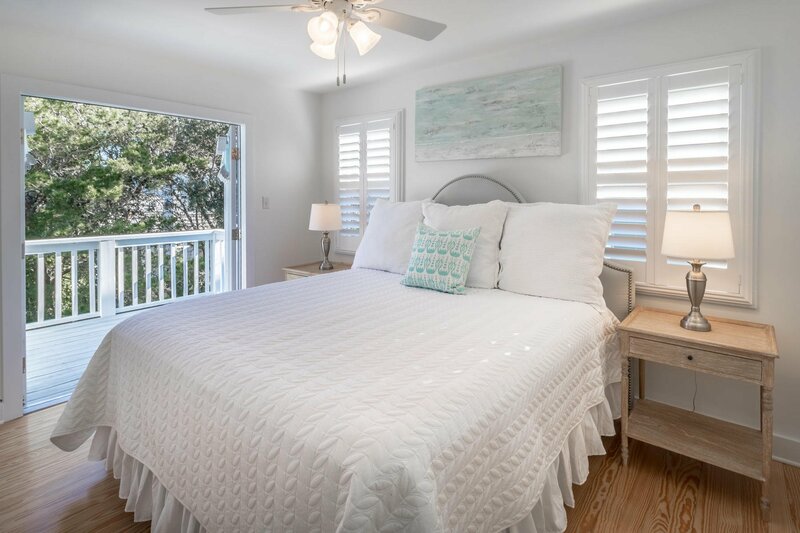 The unexpected surprise of a third floor tower room allows for additional living space with built-in bench seating for entertaining and gulf views. 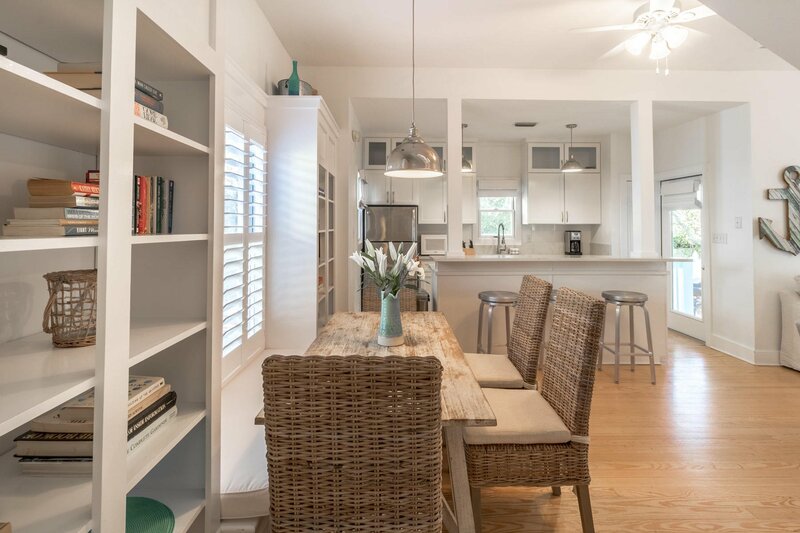 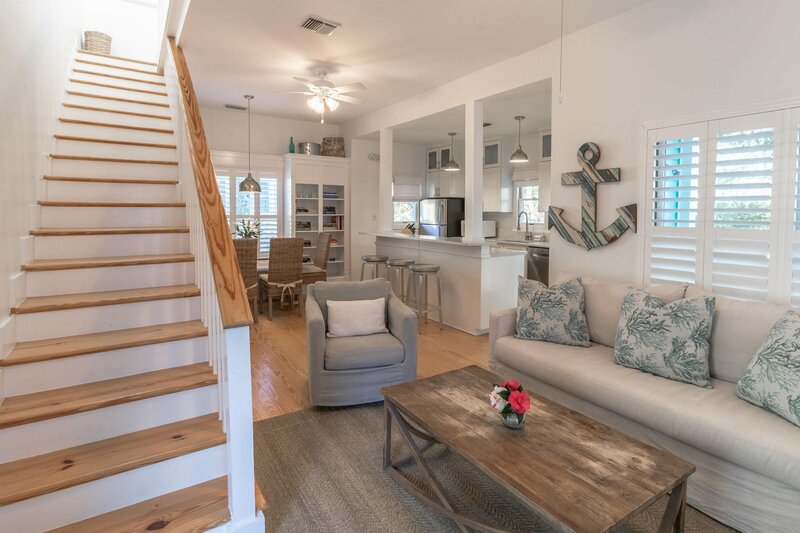 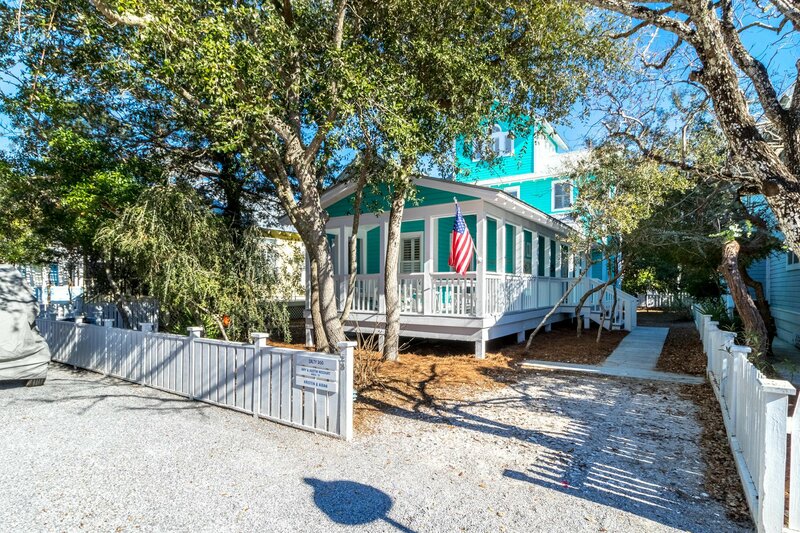 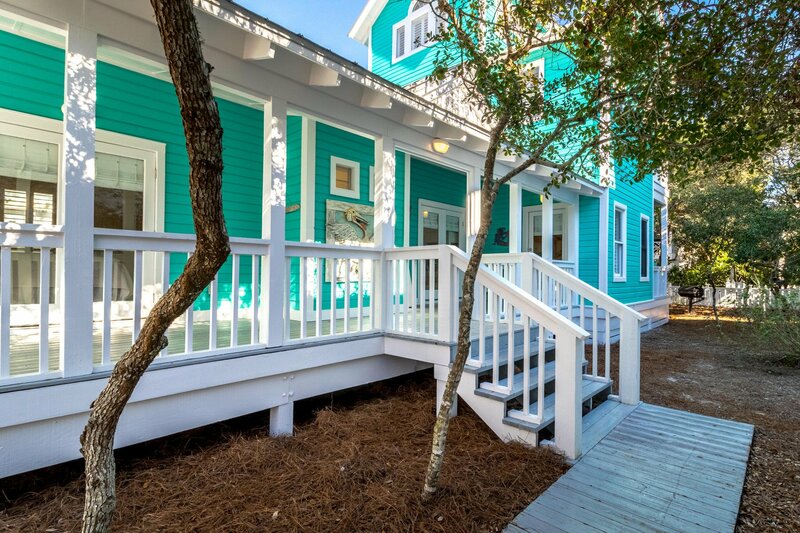 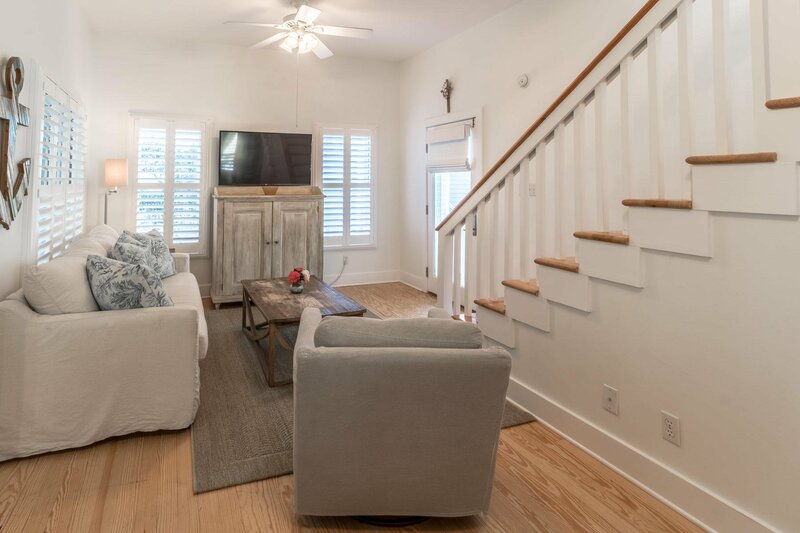 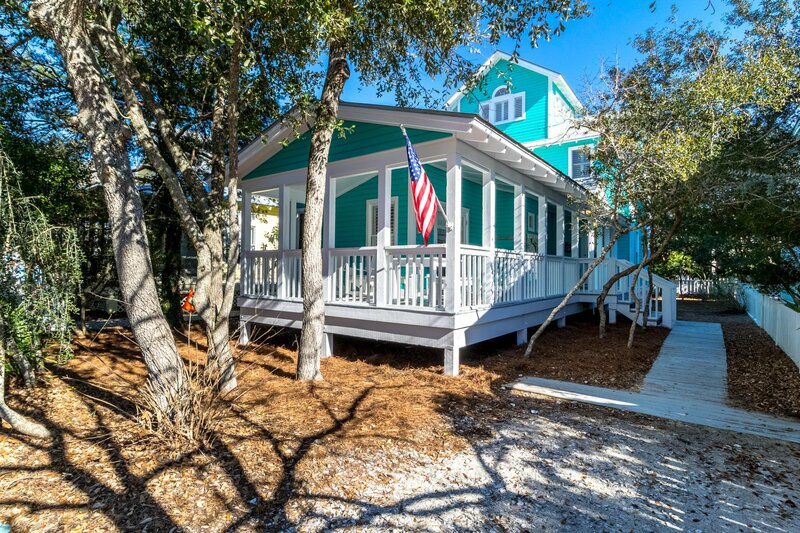 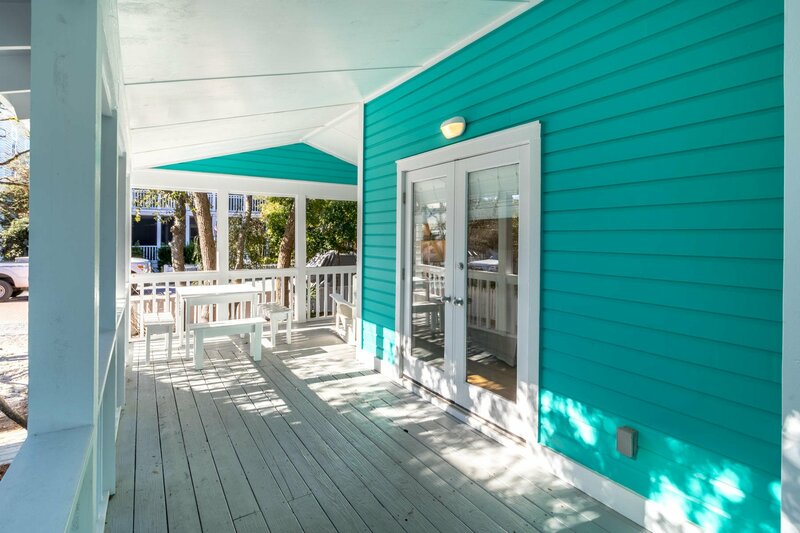 From the scenery at the top level to the charming covered porch, the whimsical Salty Dog cottage presents an ideal beach side setting. 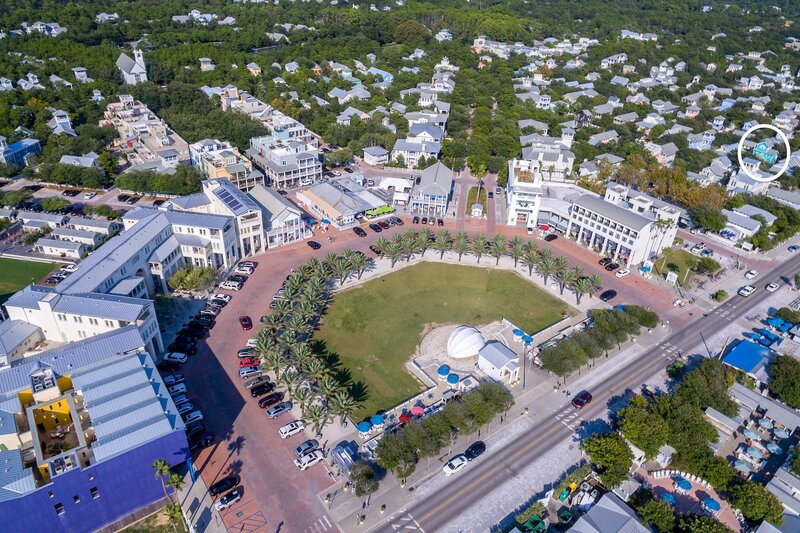 Add all of this to a location that's just a short stroll to some of the best shopping and dining in Seaside's Town Center! 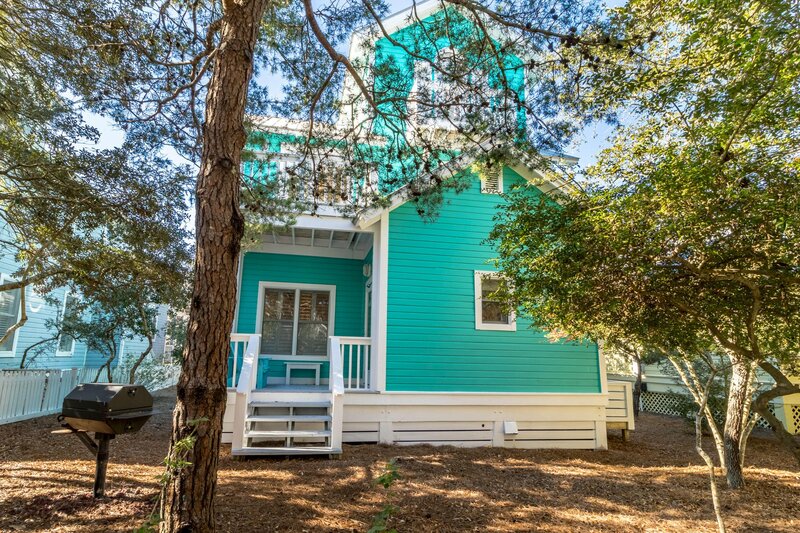 Room to enlarge main cottage and add separate guest cottage. 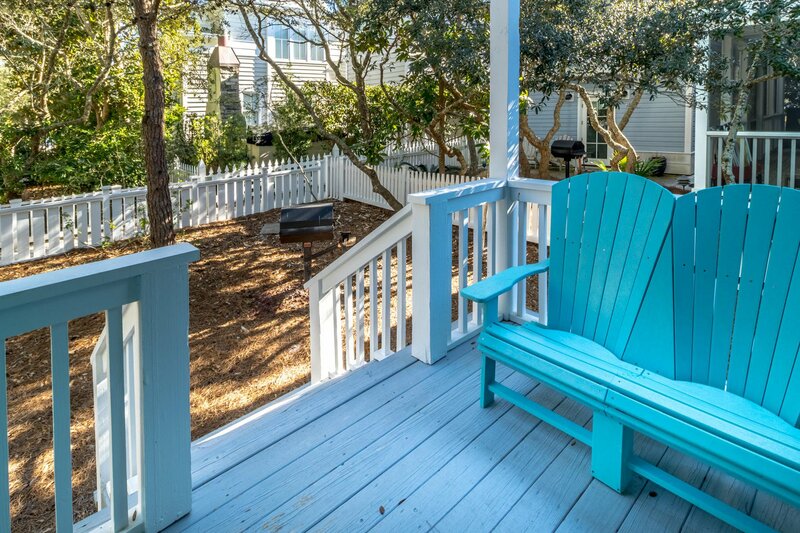 Furnished less art and porch furniture.